After making my rice pudding last week I was left with about a cup of condensed milk still waiting to be used in the fridge. 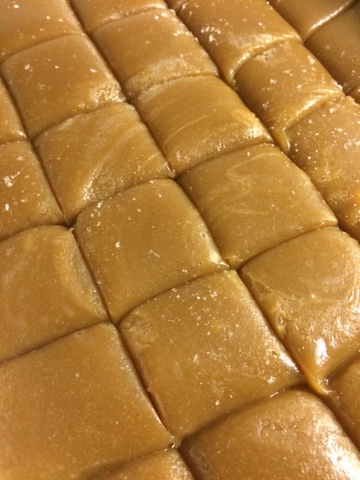 After making two caramel sauces within 24 hours, I really didn't feel like standing over the stove again to melt the butter, sugars, etc to make these candies. 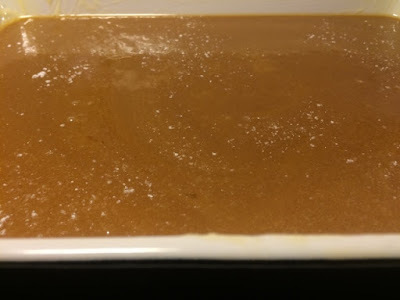 After doing some quick research I found some consensus on timings when using the microwave, and as the mixture requires stirring at frequent intervals, it was a good way for me to do so some spirited tidying up and dishes while the caramel was cooking. *adjust the recipe and setting dish size according to the ingredient you must use. 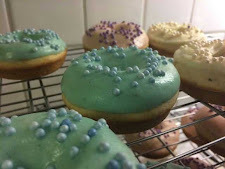 The sugars, syrup, and condensed milk should be equal in quantity, and the butter should be half the quantity of the condensed milk. 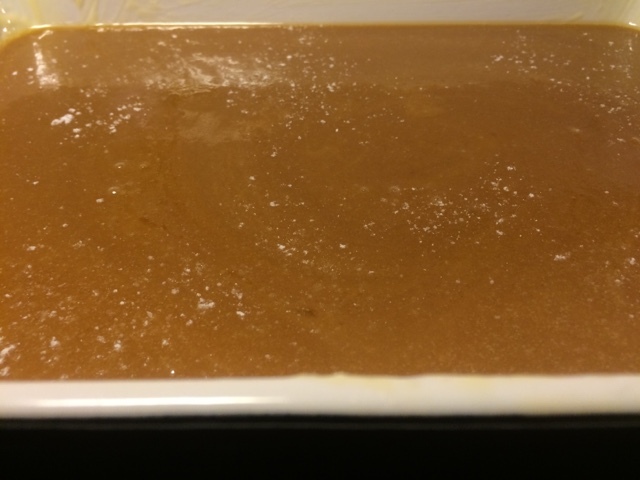 Use 1 teaspoon salt per cup of condensed milk. **I made this in an 800w microwave. You should heat it in 90 second intervals for at least 6 minutes, and keep checking the consistency every 90 seconds after that.